It’s that time again where we reflect on the past year and plan for the New Year. We all start with the very best intentions, but end up looking at the same blank sheet of paper until something more urgent comes along and we get side-tracked until the New Year is a distant memory. Your Safety Strategy for 2018 should be in place, and you might even be focussing on 2019, but there’s always room for improvement. 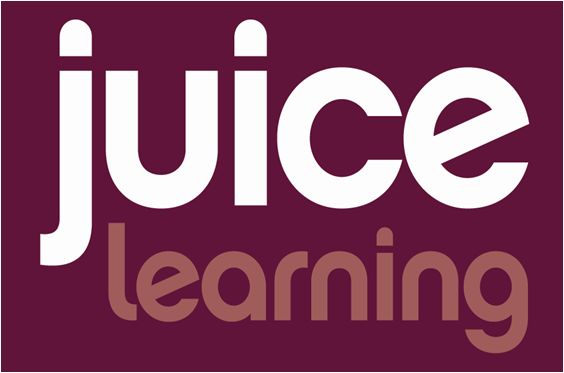 At Juice Learning we’re experts in helping organisations across the UK, Europe and the USA transform their safety culture and after a busy 2017 we thought we would share our top tips on how to improve your safety culture. Decide exactly what you want to achieve. You will only be successful if you have a clear vision reinforced by unambiguous measurable objectives. Be realistic. Can your organisation support the change you want to see? Are there adequate processes in place? Do you have the resources you’ll need? Have you involved your colleagues from other areas of your organisation (e.g. HR and Communications) and do you have the support of your leaders? Start at the top. Does your senior team lead safety or do they just manage it? By accepting that there is a clear moral, legal and business case for a safety focussed culture you’ll have the passionate and proactive support you’ll need from your leadership team. In turn the leaders in your business will set the example for others to follow, they’ll be passionate, inspiring, engaging and fully support the change you’re trying to make. Take nothing for granted. Safety Culture is an often-used term, it’s misunderstood, and it can be difficult to measure and benchmark. Our advice is to be fearless, have frank conversations with your team, don’t ignore the real issues because they may be big and complex and be pro-active in searching for honest insight into what needs to change. Set up regular surveys, organise focus groups and never underestimate the power of trust and communication. Think differently. You will never make progress from inside your comfort zone. Let’s face it, you wouldn’t have made it this far down our list if your traditional approach was working perfectly. Make 2018 the year for some fresh thinking and the time to try a new approach to training and communications. Involve your workforce. Nobody can do everything, but everyone can do something. Involving your colleagues at the earliest opportunity will nurture team work and collaboration. Make the most of their experience and insight, after all they’re the ones who spend their working lives in the environment you help create. The good news is that an engaged team who trust their leaders will make the discretionary effort that can make the difference between sustained success or failure. A secret to creating an engaged workforce is showing that you genuinely care about their wellbeing. Historically the “health” part of health and safety receives less attention than more obvious and immediate safety issues in the workplace. 2017 saw the beginning of a step change as many of our clients began to develop their strategy to address long-term health hazards. With constant attention from the media, awareness of mental health issues is also beginning to drive a change in how we think about, and more importantly, how we deal with this major challenge. Plan ahead. Identify your major challenges and consider the incremental steps that will make the biggest change. If your focus is on improving the way safety is led in your organisation, you could start with addressing the way safety is communicated, involving your leaders in creating your cultural safety strategy, how unacceptable behaviour is challenged and how every single member of your company lives the values you aspire to. Be ambitious; be prepared to challenge others; challenge yourself and learn from failure. But make your plan and have the courage to stick to it. Get your calendar out. Your fresh new plan has a focus and is innovative, but avoid thinking of it as an initiative! This suggests a short-term fix, a flash-in-the-pan project and the truth is that even overnight success takes a long time! Ensure everything has a consistent, clear narrative which paints a picture of your organisations’ vision. You should be able to schedule staff events, plan your training workshops and even start producing learning resources. Start to think 12-months in advance to make the most out of any investment. Look for opportunities to re-enforce the key messages from interventions and training and remind your colleagues of the change they planned to make. This might be a poster campaign, maybe strategically placed life-sized cut-outs, it might even be branded Muggis (we love them) or a series of pre-prepared toolbox talks. Creating a quickly recognisable brand always helps but what makes the difference between failure and success is constant and consistent focus that turns an initiative into a programme of change. Conventional thinking leads us to assess our safety culture using key performance indicators like: lost time injuries, RIDDORs and days lost. Understanding where you’ve failed is important, but also measure how engaged your team are, how often they actively participate in making improvements and reporting near misses. Think about how your measures recognise, reward and drive positive behaviours. After all you’ll only repeat your successes if you recognise them in the first place, share them with your team, celebrate them together and make excellence a habit. Be paranoid (in a good way!). With focus and effort, you will make quick and significant improvements. But success can breed complacency and complacency can lead to failure; before you know it you’re back where you began. Stay curious, learn from your mistakes. Learn from colleagues, competitors and always be receptive to new ideas. Look for the smallest incremental improvement because a single action is better than all of your good intentions.